Recently launched! 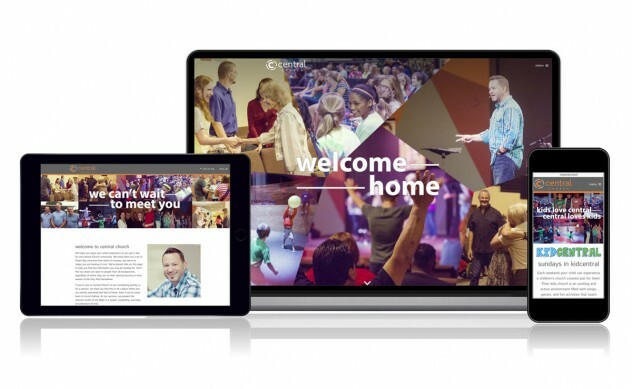 We worked with Central Church, Green Bay, to design and develop their new website. Central Church, is a fun, friendly, and growing church – and we wanted to help show this through colorful photos and content that fits their culture. We partnered with Tina Harpold Photography to shoot candids during Sunday services in both the childrens’ and adult areas, and during a Wednesday night ONE Youth event. They also took some great photos of the Central Church Team (see those here: mycentral.church/team). GoodBit Digital developed the website. Since Central’s website was developed to be responsive, the pages of the site adapt to fit the screen size of desktop computers, laptops, tablets, and smart phones – offering the best possible viewing experience no matter the screen size. The goal of Central Church’s website is to reach those in the Green Bay area that may be searching for a church to call home, as well as provide easy-to-find information for current attenders. The website was search engine optimized to help with Google search results, and the home page features and “I’m New” button that takes visitors straight to the information they need. Before designing Central’s new website, we assessed their current website to help develop a master plan. Studying their Google analytics for the previous six months gave us solid information on which pages were most visited — and helped determine what content was most important to feature. Our goal is always to design with purpose, so spending the time necessary on developing a strategic website plan prior to design and development was integral, and will hopefully provide great results for Central Church. • Lots of photos of happy people – and we didn’t have to ask them to smile, everyone is just genuinely friendly at Central Church! And we’re also excited about the myCentral App that will be launching soon!